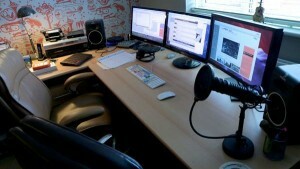 Video Production Rates & Prices – What can I expect? And how can I reduce them? 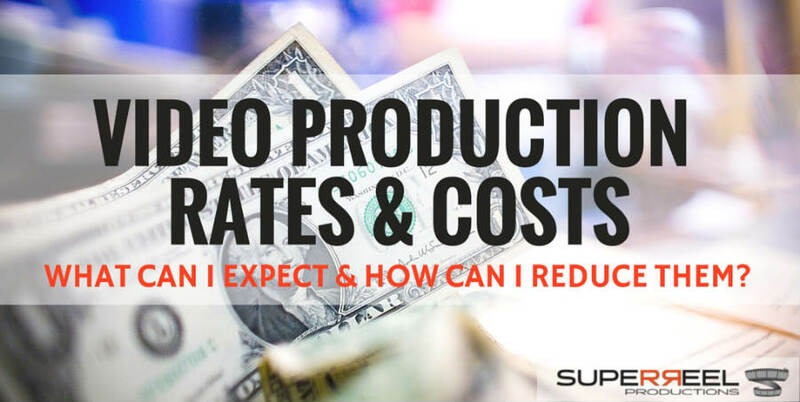 In this post I’m going to show you in detail what to expect in terms of video production rates and prices, what you can do to reduce them and how it all works. The bottom line in any enterprise, whether it be video production, grocery shopping or jetting to the moon, is what’s it going to cost? It’s probably the question in the back of most people’s minds when they first contact us: can I even afford this, what kind of playing field are we on? Is it all premier league stuff, or can I start in the fourth division and work my way up? It’s not very helpful saying that every job is unique, and no two will be priced the same. It may be true, but you have to price things somehow, and we can at least come up with a few contributing factors. Now I have some prices on my website, which I’ve called the Gold, Silver and Bronze packages, that detail exactly what you’ll get for a certain price, but will anyone actually want that specific package? Probably not. But chances are they’ll want something similar and the idea behind it is that it gives them a guideline – they can work from that baseline, adding or substituting a few items to a package to get an idea of the overall budget. First of all I should clarify the stages of any video production job, or film production project for that matter. You may well already have heard these terms, but I will explain them in detail so you know what a video production company is talking about. The cheapest option is the one man band – operating both camera and sound and producing himself. Tip: In case you are considering such a “one man” option, beware that it is not easy for the person doing it. So it is prone to error, and is an example of you get what you pay for. Which means, not the best result. It may or may not involve a presenter, and it may well involve interviews with staff members or the company directors. There are a wide range of options when it comes to the production phase. And each has an affect on price of course. Equipment could be one shoulder mounted HD camera with boom or radio-mic’d audio. More elaborate jobs will have more cameras, and use jibs, track and dolly systems, you have the option of client monitors, and even cherry pickers to get height for the really big wide shots. For esampleAlthough you may not understand all these items, be aware that a more elaborate setup could cost you more. Although the client (i.e. you) may not always be involved in the edit, you will always get sign off/approval of the final product. Here we turn the ideas of pre-production and the hard work of production into a final product. Music will be chosen, graphics can be added, and any voice over will need to be recorded. This part always takes the most time, and if it doesn’t, you’re not producing the best quality final product. Be aware that good editing is time consuming and has a huge affect on the results… so don’t cut any corners here. A shoot location can often involve a permit from the local council or land owner to allow you to film. You can’t just turn up and start filming if you are going to make money out of someone else’s property, they want to be payed fairly for their location. Filming off the shoulder on the street is generally regarded as acceptable and free of charge, whereas the use of a tripod will cost you. Tripod shooting could involve using more complex equipment such as tracks and dollies. Doing this in a public please will really bump up the prices: you need more crew, more preparation time on the day, there are more forms to fill in, and a higher cost for the permit. Something from a local council (in the UK) could range from £100 to £300, with private facilities and areas charging more, maybe £300 – £600+. Here in Kent, the Kent Film Office are truly outstanding, and have come up with good prices or free alternatives for me in the past. The number of cameras required to shoot a piece is a big factor factor in video production price. We would normally hope to use just one camera to reduce costs. A live event is another story. In such cases, you cannot miss the action, more than one thing may be happening at once, so you may need two, three or more cameras to capture the footage. These days you’ll always use HD, and whether you go shallow depth of field with say the Canon C300 or the awesome run and gun quality of the Sony PDW-F800, camera costs will be about the same. One way to keep prices down is to opt for shooting on a DSLR like the Canon 5D or 6D. This has some extra issues to address for recording audio, but they offer great picture quality at a lower camera hire charge. These kinds of systems allow for impressive, stable camera movements, just like what you see on film or TV. It can be very striking to use a jib (up and down movement) or a track and dolly (side to side), and adds a very impressive element to a piece of footage… but it’s not suitable for everyone or every project. For example, showcasing a hotel or leisure centre would really benefit from this technique, but a hairdressers just doesn’t need a crane shot of its exterior to get the message done. Using these techniques here is simply wasting your money. It’s been the talk of the industry for the past few years now, everyone wants a sweeping aerial shot or two to start their piece, and yes they always look awesome. Drones, or quadcopters, have got cheaper and cheaper, you can pick up bargains like the DJI Phantom 2 for around £500 (US$750) these days. A lot of production companies here in the UK are subsequently offering a very cheap service for aerial work. But are you really up, up and away just by going ahead and buying one of these? The drone cannot go out of site of the pilot at any time – so no flying round buildings! Check out what the Civil Aviation Authority had to say when this chap started videoing a nuclear submarine base in Cumbria, UK. Although these are cheaper, they can still be excellent. Then there are even specialist aerial photography libraries to address this very issue, such as Airstoc. This piece also used a stock aerial shot to start off with, as I mentioned in the last section. I’ve even been know to have a go myself in my own studio, which is obviously a cost saver too! Graphics in post-production are obviously very eye-catching and help set your brand apart from the competition, but they do take up significant time, and therefore cost. Bespoke graphics are generally around £1500 (US$2300) per minute, we’re talking a weeks’ work to generate that content, it’s about the same cost as shooting and editing the video, if not more expensive. The very simplest way to do it on a budget is to use a static company logo to start and finish the clip, and add what text you need in your editing software. The above clip for Henry Wiltshire estate agents is part of a larger series of pieces, and the quick cut sequence of shots at the very beginning works an alternative to a more involved animated sequence. Music costs are on a very wide-ranging-scale indeed. In an ideal world you source lyric-free, good quality library music. The big players are the likes of Extreme Music, Audio Networks, EMI KPM Play and Universal. You’ll need an account with any of them, and it’s not exactly cheap. For example EMI charges £100 (US$150) per 30 secs, Audio Networks is more reasonable and you can get a buyout for your production at £225 (US$350) all up. On top of that, though, here in the UK you need to add an annual PRS Online Licence fee of a £62+VAT minimum, though beware that will depend on the job and it could be more. For the more generic, background tracks we can often source free pieces from the YouTube library, or try Audio Jungle or iStock music for cheap and very serviceable tracks without the PRS licence required. There are instances where a client will want to use a commercial track, but it’s not easy getting the licences. You need to obtain two – the mechanical rights to the recording and a synchronisation licence from the publisher. Here’s a good run down of what all that means by Heather McDonald. So you need to find out who owns the rights to your track and then get in touch with them… only to find it is over the top, or that the artist just doesn’t want to do it. How do you get round that? If you have a little money, just not a LOT, then you can use a composer to generate a soundalike version of the track, just legally “different” enough – there are rules involving numbers of matching notes that govern this, it’s an art alright. We’ve used Jack at AudioBox Productions, who’s usually around £300 (US$450) for a bespoke track such as this one… can you guess what it is yet?? Last in my list is the length of the video and the number of videos. Google loves video content, as do your customers, so producing 8 videos for your site is an ideal, but it’s not always a viable option. For me, the smallest jobs start at a rock bottom price of around £1500 (US$2300) for a short days’ shoot involving one cameraman, with a 2 day edit to produce a simple 1-2 minute video, using simple logo inserts at one or both ends, and or adding text in the editing software. A medium price job is around £3k – £4k (US$4.5k – $6k), which would involve scripting time with the the producer, a producer and cameraman on the shoot, possibly a second camera, at least one assistant, some (fancy) jib or dolly equipment on location, and approx. a 5 day edit to produce a 3-4 minute piece with professional voice-over, plus shorter versions of that main piece. The premier league is more like £10k – £15k (US$15K – $23k) and would involve extensive pre-production scripting time with a producer; a producer, 2 cameramen and an assistant on location, over a period of a 2-4 days, using tracks and dollies, a presenter, possibly a green screen / studio hire; and 1-2 weeks in the edit to produce maybe 8-12 mins of content (which is often divided across multiple pieces), also producing cutdown versions of these. I hope that gives you a better idea of video production rates, how you can save costs and what to expect. It’s good to be aware of these things, but ultimately it’s a chat with a couple of producers that will get you a list of alternatives, some prices applicable to you and what you need… and generate a few ideas to bring your business to life. If you would like to get some more advice or even a quote for a video production job, feel free to get in touch. "Produced work way beyond my expectations. A great talent."